I pray that you are all well, safe, sane, warm, and clothed. If you are not, please let me know how ReciclaGEM can support you. As many of you may have experienced or are aware, global warming has shown in its enraged head once again, as a Hurricane named Sandy ravaged its way through the East Coast of the United States, the Dominican Republic, Haiti, Puerto Rico, and all the places in between. 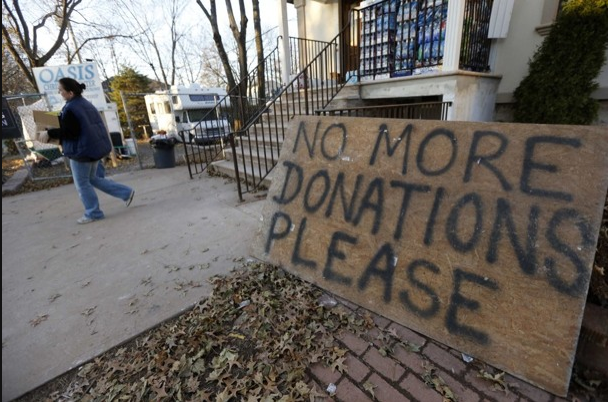 Many people, including those in Chelsea and Brooklyn New York, lost power, lost homes, lost loved ones, lost everything. It was and continues to be quite a tragic event. While some of the world has returned to its materialistic roots, getting ready for Black Friday sales and other pre-holiday consumer driven madness, many are still without the necessities of life that they once had only last month. 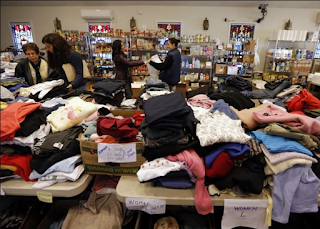 There is a lot to be said on this, but I am writing today on another matter: clothing donations. so you drop off 10 garbage bags of fast fashion. "First up, no more clothes. Several of the dropoff places we went to had stopped taking donations. There are a few reasons for this. One, there are other high need items [diapers, batteries, wipes] and Two, the way that we and others have been preparing the clothes for dropoff is not particularly helpful to those people who are so desparately in need. We visited a National Guard spot on 116th Street in the Rockaways after being turned away from Breezy Point. 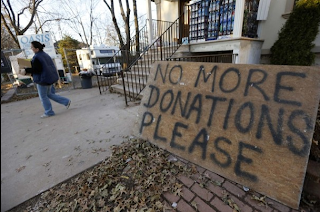 The National Guard (at least where we were) is only manning food and water donations. Everything else is essentially being dumped out back on the ground. Local residents are sifting through garbage bags and grabbing the few diapers and wipes that are there. There is no organization. (So, please no more clothes for now until we figure out a better system)." Have no fear, the Textile Exchange is here to save the day and fight the good fight of saving clothing scraps from landfills! Right! Right? NOT REALLY. 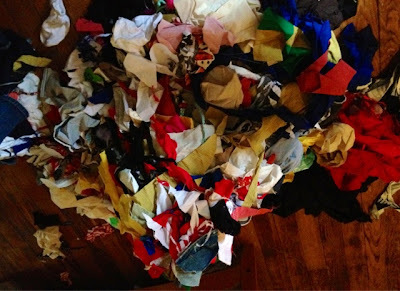 Upon getting ready to drop off my own donation to the textile exchange (the scraps from the scraps that have emerged from the upcycled designs that I have created from other people's craps), the Textile Exchange dully informed me that they only accept clothing and fabric that is 36" x 36" or, in other words, 1 SQUARE YARD OR LARGER! Ok, I would NEVER donate a 1 yard of fabric to be recycled because, as a designer, I could make something useful out of that! 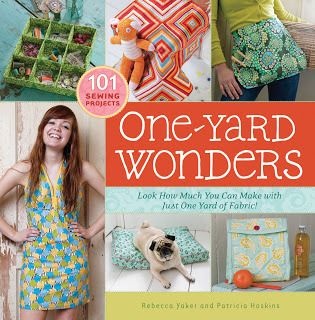 There are even books published that show you how to make everything from a bag to an apron out of a yard. So alas, what to do with all these scraps? What to do with clothing donations that are muddied because there is no organization at the clothing donation drop offs? What to do if you're moving in 7 days and have a whole room of scraps? What to do with the clothing donations we donate to countries around the world who really don't want our used fashions? (A young child starving is not going to wear last year's NYE dress nor is a woman or man from across the globe going to wear something that is not culturally appropriate). Well, one way I have addressed this is through creating one of a kind wearable art pieces from recycled clothing donations: a la ReciclaGEM. Another way, I am now hosting a QUILTING CIRCLE TODAY IN HARLEM. 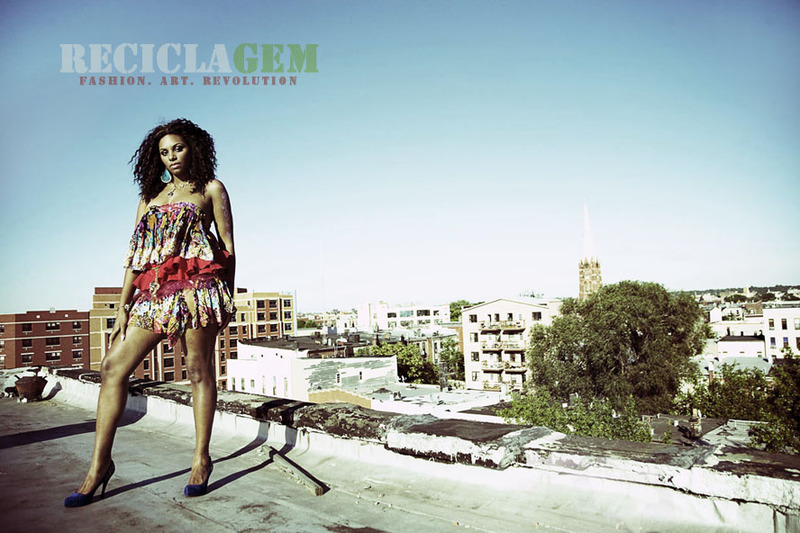 RSVP @ info@reciclagemny.com. But one essential way to be mindful of your own waste is not buy things you don't need and try a bit of upcycling yourself. Upcycling should be as common as reusing scraps paper, using what you have in the cuppord to cook a meal, or even as common as brushing your teeth. I am dedicating my life to this because the textile waste filling up the worlds garbage heaps and incinerators is not simply the yards and clothing. It's the fabric scraps too. Feel free to leave your suggestions below or email me your ideas on how to keep the scraps alive.